The Gumball 3000 Foundation is proud to support the Tony Hawk Foundation's efforts to create high quality, public skateparks in low-income communities around the world. Skateparks not only encourage youths to be active and healthy but are spaces where they meet other creative, like-minded individuals, form communities and together build self-confidence and awareness of the sometimes misunderstood sport. 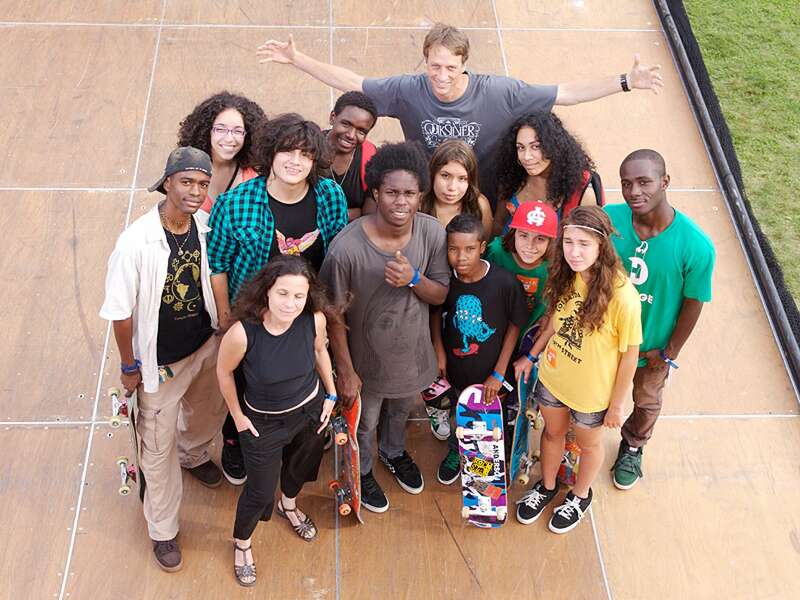 The process of creating a skate park, as advocated by the Tony Hawk Foundation, involves the youth in planning, fundraising and helping the design the facility that will become their second home. In communities where the Tony Hawk Foundation has helped open a skatepark, it's used all day, every day, and is without exception the most popular recreational facility in town. Since 2002, over 556 skatepark projects in the US have received funding from the Tony Hawk Foundation, where over 4.8 million visitors annually enjoy the skate parks that the Foundation helped to fund. The Tony Hawk Foundation empowers youth and their communities, helping them to create a stronger future through engagement with local leaders to build a space where they can learn essential life lessons that skateboarding teaches. Donate to this team to help them reach pole position when the 2018 Gumball 3000 rally departs London on Aug 4th!